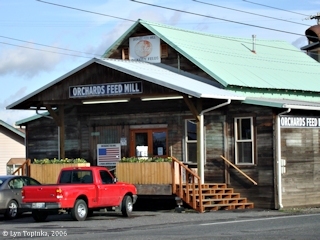 "Feed Mill ... Orchards, Washington"
The Orchards Feed Mill (Store), located in Orchards, Washington, is located on the corner of NE Covington Road and Rosewood Avenue, in T2N R2E. 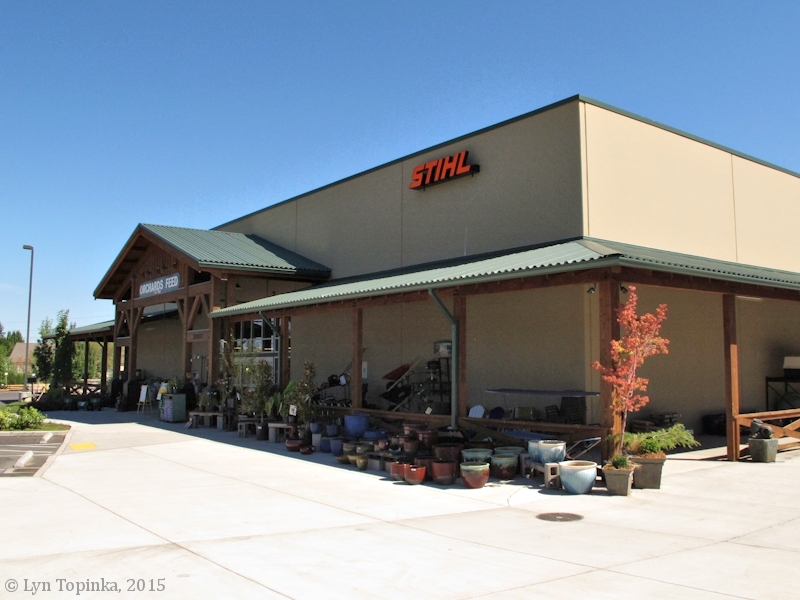 It is owned by Loren Carlson, who purchased the business in 1989. "Est. 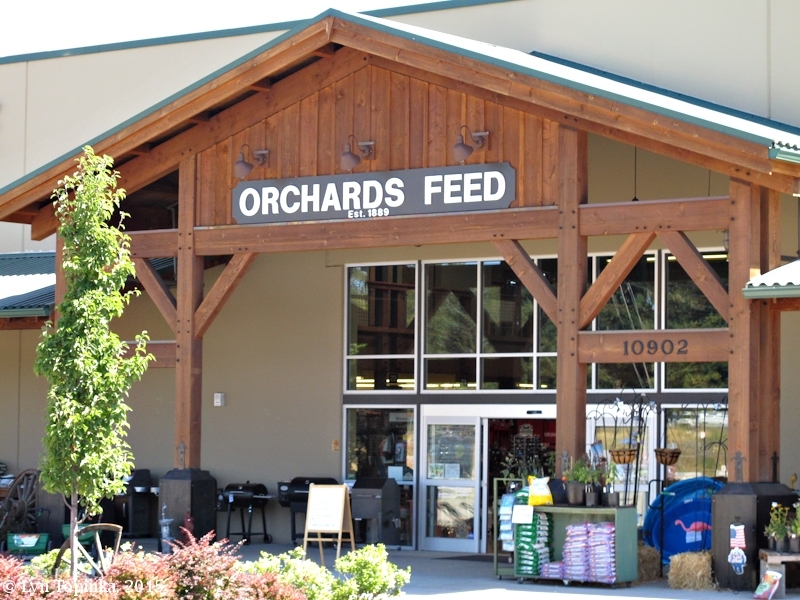 1889" is also posted on the Orchard Feed's new building. 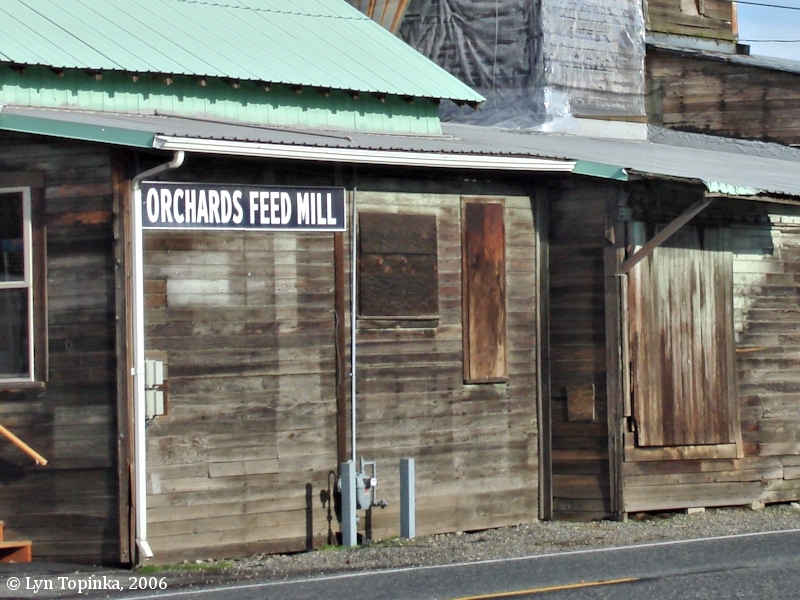 According to Vancouver's The Columbian (September 19, 2013), the Orchards Feed Mill was built in 1889. 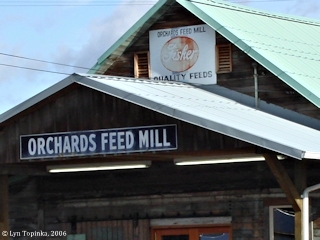 "The company recently opened a 22,000-square-foot store next door to its 124-year-old feed mill." 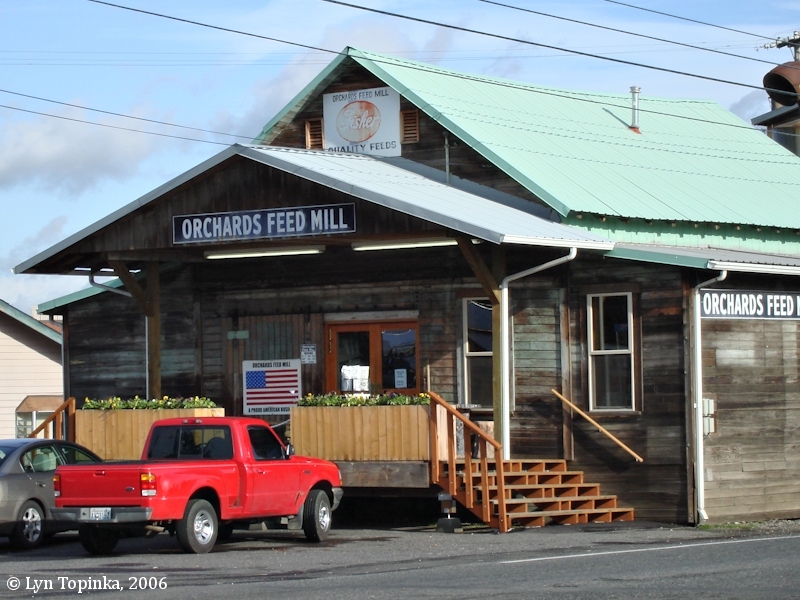 However, according to D. W. Freece, in his 1984 Masters dissertation, "A history of the street railway systems of Vancouver, Washington, 1889-1926" (Portland State University), the Orchards Feed Mill was built in the early 1900s. 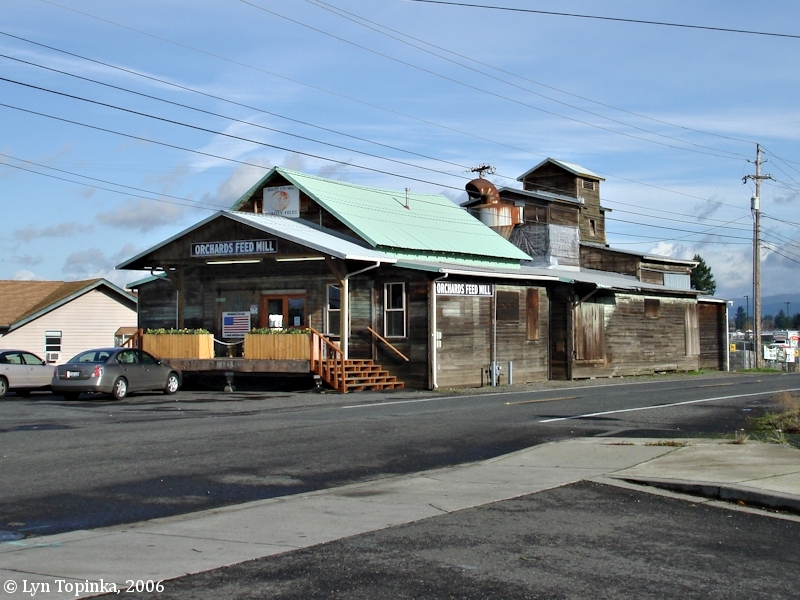 It was located along the tracks of the Vancouver - Orchards - Sifton electric streetcar line. In 2013 a new 22,000-foot store opened north of the original building. Click image to enlarge Orchards Feed Mill, Orchards, Washington. 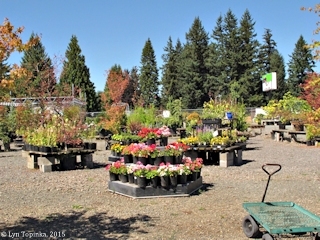 Image taken August 7, 2015. 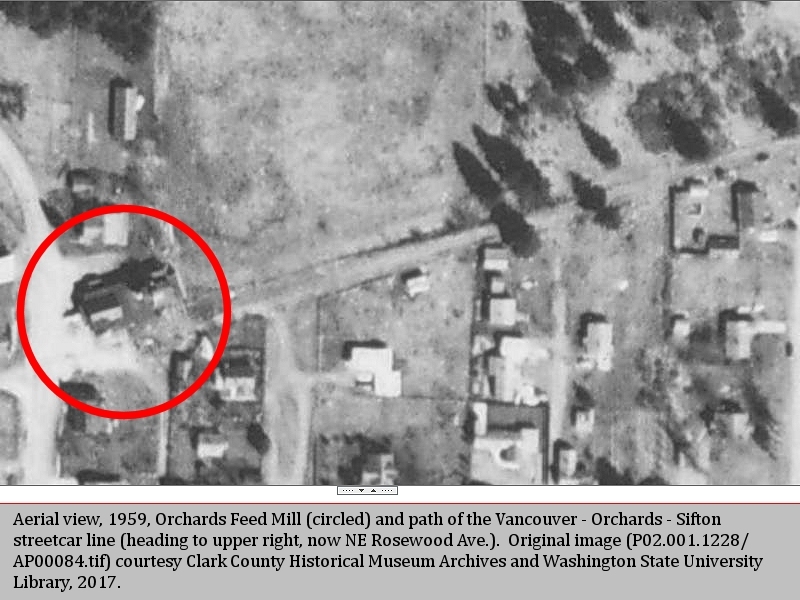 Click image to enlarge Detail, 1959, aerial photo, Orchards Feed Mill (circled) and the path of the Vancouver - Orchards - Sifton streetcar tracks (heading right, now NE Rosewood Ave.), Vancouver, Washington. 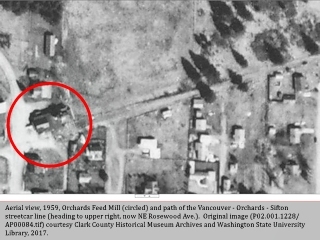 Original image (P02.001.1128/AP00084.tif) courtesy Clark County Historical Museum Archives and Washington State University Vancouver Library, downloaded April 2017. 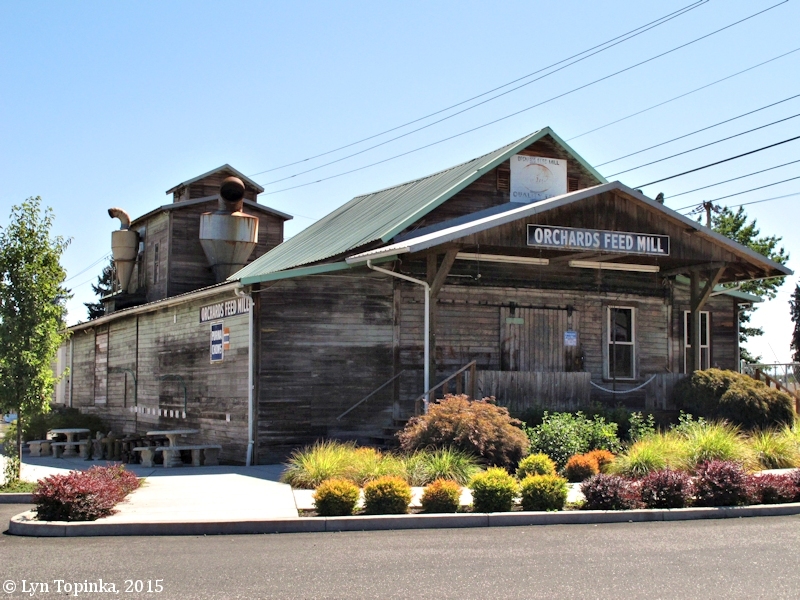 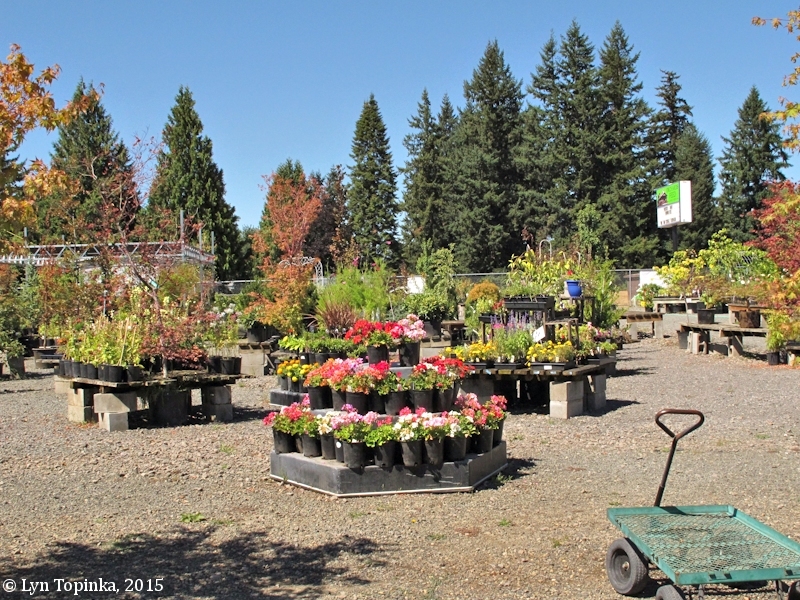 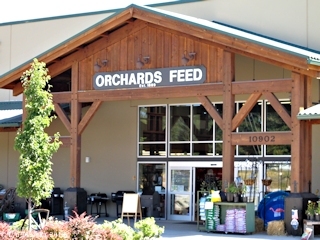 Click image to enlarge "New" Orchards Feed Store, Orchards, Washington. 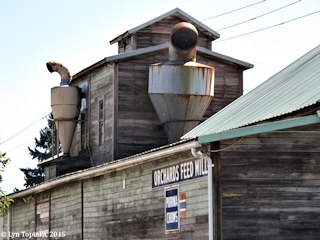 Image taken August 7, 2015.